Looking for lighting that is more than just a pretty face? Our gooseneck fixtures combine the trademark gooseneck design you know and love, with unbeatable functionality that goes far beyond their initial use as warehouse lighting. This allows every fixture to combine the very best of beautiful aesthetic appeal with unbeatable utility. Goosenecks are ideal for use as sign lights, since they have a natural downward trajectory combined with the ability to wind and curve around signs and awnings, allowing them to cast a focused beam onto signs and other items of interest, such as monuments and flags. They're also great at showcasing lawn sculptures and other décor items. Each of our versatile gooseneck lights are crafted from quality aluminum, which is equal parts strong and lightweight. Lights are then powder coated to prevent weather damage like rusting and corrosion. Even fading and chipping is reduced when placed in direct sunlight. Choose from an array of colors that will coordinate well with virtually any exterior design theme. 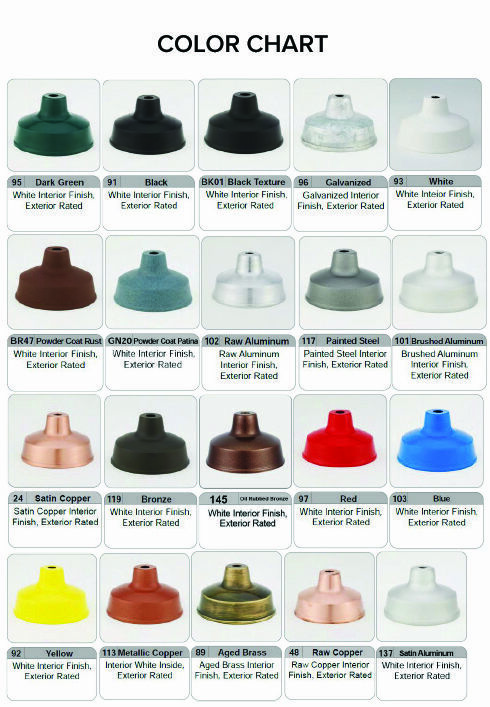 Many of the colors are available at no additional charge. There are additional customization options as well, including varying shades, arm bending, and energy efficient bulbs. Don't see something you like here? Call and discuss additional options with our design experts and create the lighting that you need for your upcoming project.